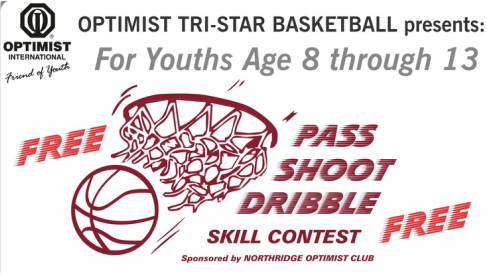 ﻿On Saturday, March 12, 2016 the Northridge Optimist Club conducted the annual Pass/Shoot/Dribble basketball skills contest for kids ages 8 to 13. 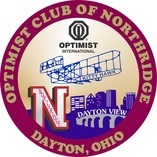 The event was held at the Northridge High School gym. Over fifty kids competed within their own age groups, and trophies were awarded for first, second, and third places in each of six age groups. All contestants received a free event t-shirt. The contest consisted of dribbling through a course of safety cones (a timed event), shooting from various spots on the floor, and passing to a stationary target. There were over forty contestants this year.